Start Date: Nov. 14, 2018, 12:17 a.m.
End Date: Dec. 31, 2019, 12:17 a.m.
350+ recorded videos covering all the different types of problems that have come up in CAT over the last two to three years. Each concept is taught at a pace comfortable to all levels of aspirants with ample number of examples to help you understand all the aspects of LRDI. 250+ videos will be made available instantly in form of lessons on 26th Nov 2018. 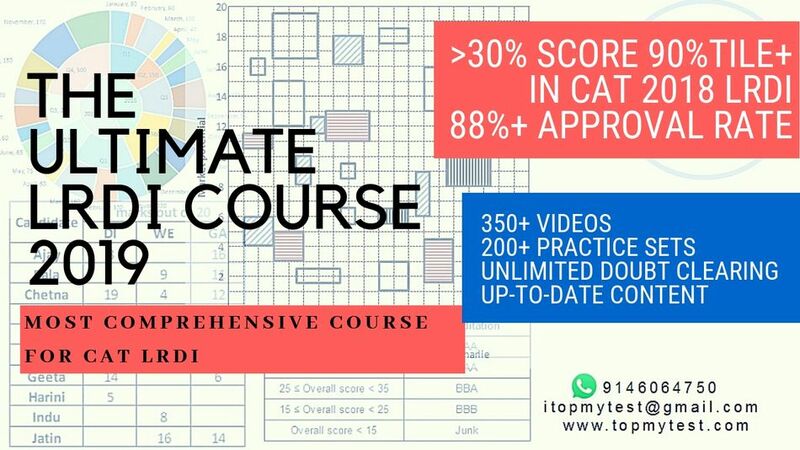 An Additional 100+ videos will be added to the lessons by 30th April 2019. Obviously without ample practice, solving questions randomly will not help. To help you with this, we would be providing you with daily practice set. These sets would also be available in the form of sectional tests. These tests will be timed similar to the CAT exam. Each test will have 8 sets with 4 Qs each with video solutions. The solutions will be available upon completion of the test. One per day (Monday to Friday) from 1st Feb 2019. From mid July 2019, the number of sets would be two per day. This will continue till end of October 2019. When you post a doubt on LRDI, please post the set and all the questions in the set in a form of a screen-shot. Also provide the answer keys (not the solution). Doubt without answer keys won&apos;t be entertained. Here are the reasons why? Why recorded sessions over “live” classes? LRDI needs concentration. Live classes can be intimidating for students who are starting from scratch and boring for students who want a faster pace. Each one has his or her own speed of grasping and learning. In a live session, sometimes topics and questions are left unsolved. In a recorded session, there is no chance of this happening. For group study and interaction, the discussion forums are there and these provide ample options for peer to peer learning. Imagine trying to learn in a class where everyone is shouting a different answer and you have to worry about 500+ notifications. A recorded session helps you overcome the noise part and you can concentrate on your learning. For interaction with the instructor, you can always contact us on WhatsApp and other messaging platforms. We are always available for your help. The videos will all be created by Vivek Sankaran. Vivek fluked his way to an IIM Ahmedabad convert. Vivek was the director of T.I.M.E. Goa from 2009 to 2016. Under his mentorship, T.I.M.E. Goa achieved some fluky results which coincidentally happened each year. He managed to train over 3,000 students for CAT and other MBA entrance exams. Vivek has also created LRDI Videos for various online test prep providers. He also hosts the MBA Prep Talk on TOPMYTEST’s YouTube Channel. 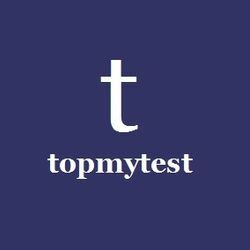 TOPMYTEST was started in Jan 2018. We have YouTube Channel and India’s only Test Prep Podcast – The MBA Prep Talk, where we invite mentors and professionals from various stages of their MBA career to help give you an in-depth understanding of the MBA education scene in the country. The course contains over 350+ recorded videos and additional videos for Mocks and Doubt clearing. This would be enough practice for you for CAT and you will not need additional practice material. This is available at a price of Rs. 5,450 (inclusive of all taxes). As a part of the launch plan. As close to 50 recorded videos are available as a course for your perusal before purchase, there will be no refunds under any circumstances. The enrollment is non-transferable. All disputes will be subject to jurisdiction in the courts of Goa only. If you behave like an adult, we will treat you like one.